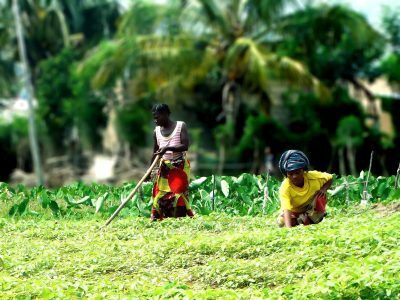 Ever since we began our Vocational Training workshops and Agriculture program, it has been a challenge for us to meet the demand with our limited resources. 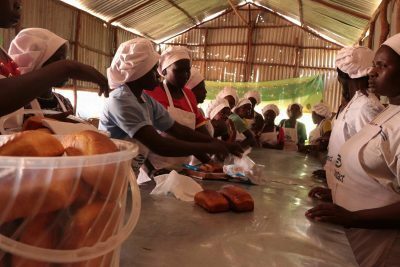 At Kakuma Refuge Camp, our main vocational workshops are Sewing, Bakery and Catering, and Hairdressing, and we offer basic Literacy and Numeracy workshops for adults who have had little formal education. 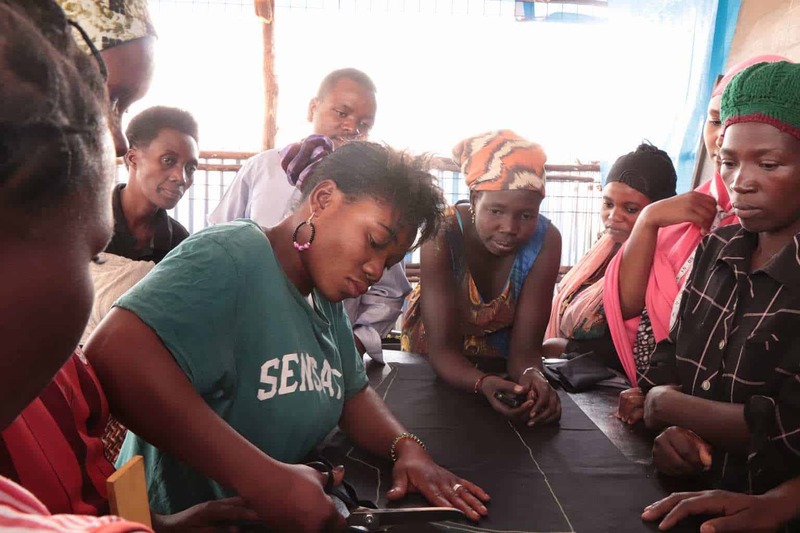 We pay Kenyan and refugee instructors who are able to certify our students at the end of the vocational courses, thus enabling our students to legally offer their services and sell their goods to Kenyans from outside the refugee camp. Our Agriculture program offers resources and problem-solving advice, and we occasionally are able to offer Vocational Training in Soap and Detergent production and Phone and Computer Repair. At Uvira in DR Congo, we have the Sewing and Bakery workshops and the Agriculture program (see Mama Deba’s story in Testimonies), and in South Sudan and Burundi, we have some programs coming this year. This web page is still in development, and we plan to write more, especially about our Agriculture program and the cooperative method of likilimba. Please see text below the pictures for our current funding and volunteer needs. The demand for our vocational workshops is high, and with greater resources we could hire more certified teachers and buy more equipment, enabling us to increase the size and frequency of these programs. • For the Sewing workshop, we could build a proper structure for our workshops, rather than operating out of a temporary tent. We could buy more sewing machines, tables, and chairs, plus more fabric to sew with. We would have money to loan to newly-certified students, as they begin their own businesses with their own equipment – knowing that they will repay this money over time, and thus help out those who come after them. Do you have quantities of fabric that you could donate and send? If so, see How to Contact Us on the Ways to Join Us page. Do you have good sewing skills and are you interested in coming to Kakuma as a volunteer? See our Ways to Join Us page. • For the Bakery workshop, we could build a structure that would be wholly devoted to housing the kitchen/ classroom. We could build larger stoves than the ones we currently have, buy more flour and other ingredients, and produce much greater quantities of bread. Currently, most bread at Kakuma comes all the way from Nairobi and is very expensive, so there is a great potential market for bread produced by an ODWEP cooperative of certified bakers at the camp. • For the Hairdressing workshop, we would also like to have a full, proper structure rather than the makeshift one we have now, open at the sides – Kakuma is very dusty, and dust and wind are not helpful when dressing someone’s hair, plus the dust gets into the hairdressing tools! We need more hairdressing tools and, as with the Sewing workshop, we need capital to loan to newly-certified students, to help them when they set up a small business of their own – and, as with the Sewing students, they will repay this money over time, and thus help out those who come after. • To expand our Agriculture program, we need to be able to buy more simple farming tools, watering cans, and seeds There is also interest among camp residents in raising chickens, and with funding we could help with that.